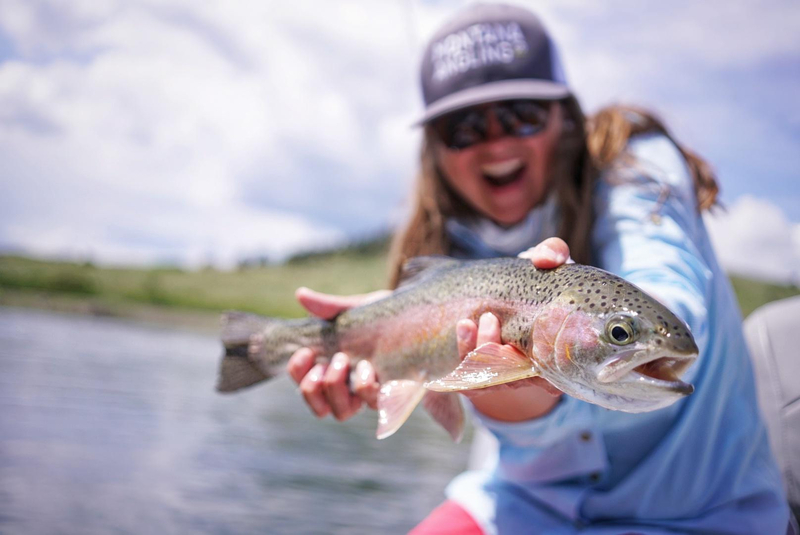 The 2018 Montana fly fishing season has been treating our anglers and Bozeman, Montana fly fishing guides well so far and my magic 8 ball says July looks to continue the trend. The Yellowstone River, Madison River, and other local rivers are all on the drop and rapidly coming into form while the Missouri River has continued to spoil our anglers on a daily basis. Our forecast for July? Lots of cold water, trout rising for dryflies, and more happy anglers. The PMD hatch will continue on the Missouri River through mid-July and Caddis hatches will steadily improve. Flows will continue to drop after late June storms that resulted in record flows across the drainage. We predict epic days of dryfly fishing through the end of the month. High flows have meant lower pressure on the Missouri River below Craig. Bring your best cast and be ready to work hard, but expect fish to eat a fly when you put it in front of them. Not quite as smart as they normally are. Tricos will start to hatch late in the month and flows will drop below 9000 CFS. Hopper fishing will pick up mid-month, and then it will be game on. The fish are well fed this year, expect to find some big ones looking up all month. Closer to Bozeman, Montana the Madison River will fish well all of July. Salmonflies have already started to hatch close Ennis, Montana and will slowly move up river over the next two weeks. We expect to be able to throw the big bug on the 4th of July. Goldenstones, caddis, PMDs, little yellow sallies, and terrestrials will keep the fish looking up through the end of the month. Hebgen Dam will provide a steady supply of cold and clear water all month long. Could be a July for the books. Nymphing with the standard fare will produce the most fish but we are hoping to be throwing dries and hunting for big browns all summer long. July 16th. Mark it down. We predict this will be the first day of real fishing on the Yellowstone River. By real we mean fishing something more than just two big flies under a bobber, going from eddy to eddy. We are liking the sound of goldenstones, caddis, and PMDs. We can’t wait. We love our tailwater rivers but you just can’t beat Montana summer freestone fishing. Expect the Yellowstone River to have plenty of water, good hatches, and great fishing from the day it clears until the first snow falls this year. Our other nearby freestone rivers will fish similarly well through the summer. Stoneflies early in the month and hoppers late. Probably no salmonflies this year but would happily trade them for a surplus of cold water any year. Where will be the best place to fish in July? Expect to find our Bozeman, Montana fly fishing guides on the Madison River or Missouri River through the 15th of July and then the Yellowstone River or other nearby freestone every day thereafter. Sounds like fun. Still need to book your trip? We’ve got you covered.